This first volume comprehensively charts Western astrology from 30,000 BCE up to the 17th century, with particular focus on its magical, political and apocalyptic movements and use in everyday life throughout history. 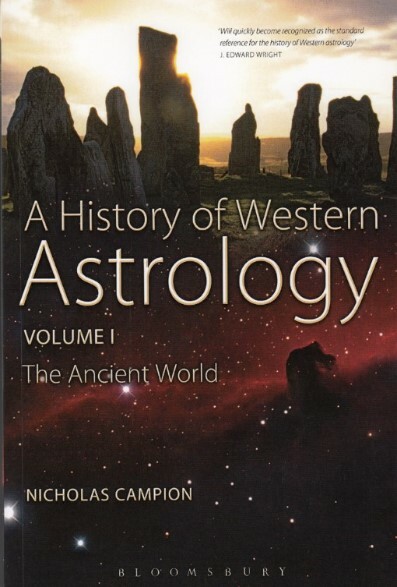 This is the first comprehensive examination of astrology's origins and examines the foundations of a major feature of popular culture in the contemporary west, one which has its origins in the ancient world. Campion explores the relationship between astrology and religion, magic and science, and explores its use in politics and the arts in a fascinating and readable fashion. The book's scope and depth is greater than any other comparable text. Beginning with theories of the origins of religion in sun-worship, it spans the period between the first Paleolithic lunar counters around 30,000BC and the end of the classical world and rise of Christianity. 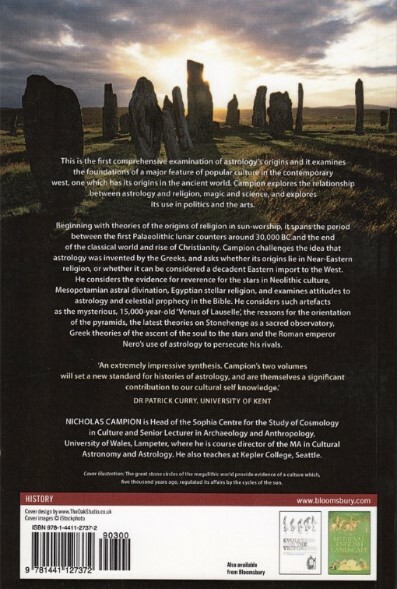 Campion challenges the idea that astrology was invented by the Greeks, and asks whether its origins lie in Near-Eastern religion, or whether it can be considered a decadent Eastern import to the west. 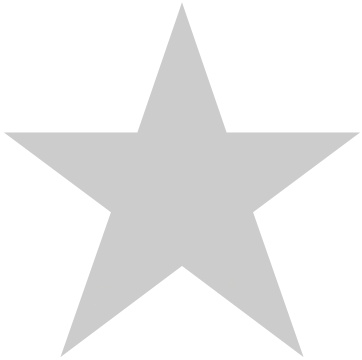 He considers the evidence for reverence for the stars in Neolithic culture, Mesopotamian astral divination, Egyptian stellar religion, and examines attitudes to astrology and celestial prophecy in the Bible. He considers such artifacts as the mysterious, fifteen-thousand year-old "Venus of Lauselle", the reasons for the orientation of the pyramids, the latest theories on Stonehenge as a sacred observatory, Greek theories of the ascent of the soul to the stars and the Roman emperor Nero's use of astrology to persecute his rivals.